To talk about “Chaucer’s periodization” often means to ask how we ourselves think of Chaucer: as a quintessentially “medieval” poet, or as a harbinger of the “modern.” Instead, this lecture explores how Chaucer and his contemporaries saw their own place in time, focusing on the “House of Fame,” the Knight’s Tale, the Man of Law’s Tale, and “Troilus and Criseyde,” and asking questions such as the following: Does Chaucer present a linear or a cyclical view of history? To what extent does each national history stand on its own? 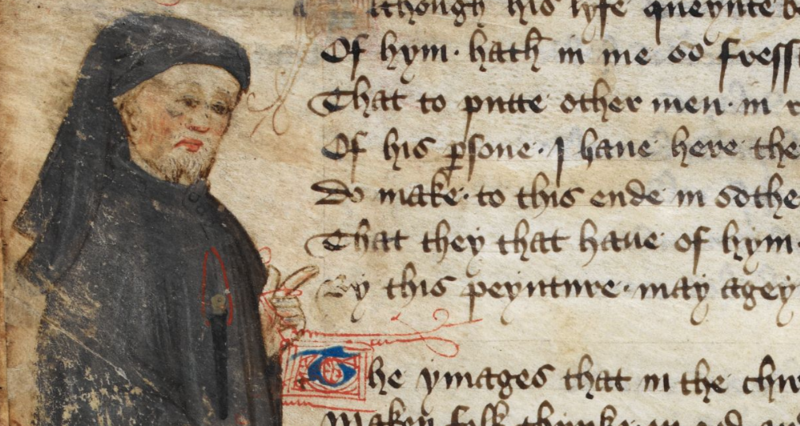 And what’s the place of the individual subject within Chaucer’s periodization? Suzanne Akbari is professor of English and Medieval Studies at the University of Toronto, and the Director of the Centre of Medieval Studies. You can listen her to on the podcast The Spouter-Inn; or, A Conversation with Great Books or learn more about Suzanne on her website.